There are plenty of myths and legends about the magic of corn. Of all the grains eaten in the world, corn–or maize–probably is surrounded by more legends and folklore than any other. Corn has been planted, tended, harvested, and consumed for millennia, and so it’s no wonder that there are myths about the magical properties of this grain. Let’s take a look at some of the customs and traditions surrounding corn. Parts of Appalachia are rich in superstitions surrounding corn. Some farmers believe that if you miss a row while you’re planting corn, someone in your family will die before harvest season. Likewise, if you see kernels of corn lying in the road, it means that company is on the way, but if you brush the kernels away or bury them, your visitor will be a stranger. If the husks on your corn extend far beyond the ear itself, it's a sign you're in for a long hard winter. Burning the cobs, husks, or kernels will bring about drought in the coming season. 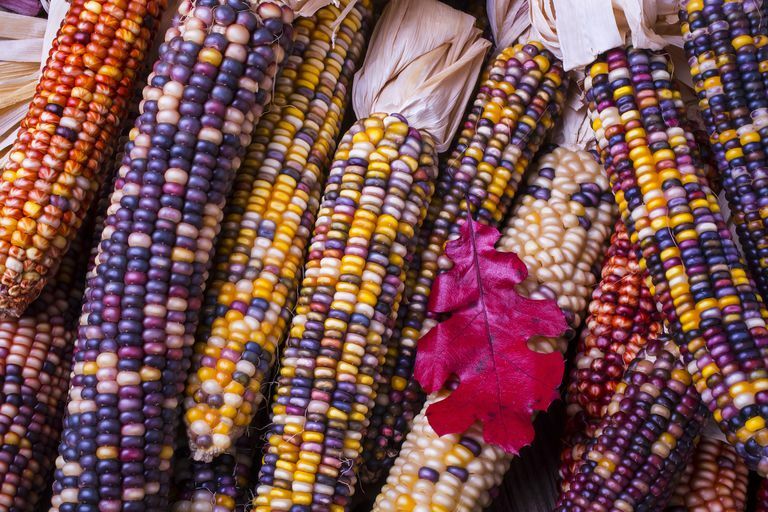 During the westward expansion of the nineteenth century, settlers in some Midwestern areas believed that if a girl found a blood-red corn cob among the yellow ones, she was sure to marry before the year was out. Forward-thinking young men occasionally planted a few random kernels of red corn strains among their crops. In Kentucky, it’s said that blue kernels found on an otherwise red corn cob will bring the person who finds them very good luck indeed. Longfellow alluded to this custom, writing, "In the golden weather the maize was husked, and the maidens blushed at each blood-red ear, for that betokened a lover; but at the crooked laughed, and called it a thief in the corn-field." In parts of Ireland, it's believed that burying a sheaf of corn while uttering a curse will cause your enemies to die–they will rot from the inside as the corn decays in the soil. Some Native American tribes planted beans, squash, and corn in an arrangement known as Three Sisters. In addition to being a self-sustaining ecosystem, in which each plant helps the others, the planting of this trio is associated with the concept of happy families, abundance, and community. Corn also features prominently in Native American folklore. The Cherokee, Iroquois, and Apache all have tales about how corn came to be part of man’s diet, and these stories usually involve an old woman presenting corn as a gift to someone young. Use corn in rituals involving growth and transformation. After all, a single kernel brings you a tall stalk full of (you guessed it!) more kernels! You can also associate it with self-sustainability and fertility, both of people and of the land. Ceres was the Roman goddess of grain, specifically corn, and of the harvest season. According to Roman legend, she was the one who taught mankind how to farm. She is associated with agricultural fertility and a bountiful harvest. Make her an offering, and she may well protect your crops from natural disasters such as flooding or blight. Create herbal sachets out of the husks, to use around the house, bringing in magic associated with various herbs. Make offerings to gods or goddesses of fertility. Depending on your tradition, different deities like different things, but in general, you can't go wrong with offerings that are food, drink, or handmade items. Sprinkle corn around your ritual area to delineate sacred space. This is a great way to create an eco-friendly circle that you don't have to clean up later. Don't worry, the birds and other local wildlife will take care of it! Make a corn doll to honor the deity of your tradition. Create a corn husk chain, with each link representing a magical goal. As you get closer to the goal, remove a link, and either burn it, bury it, or return it into your garden. How is Honey Used in Wicca? Do the Days of the Week Influence Magic?